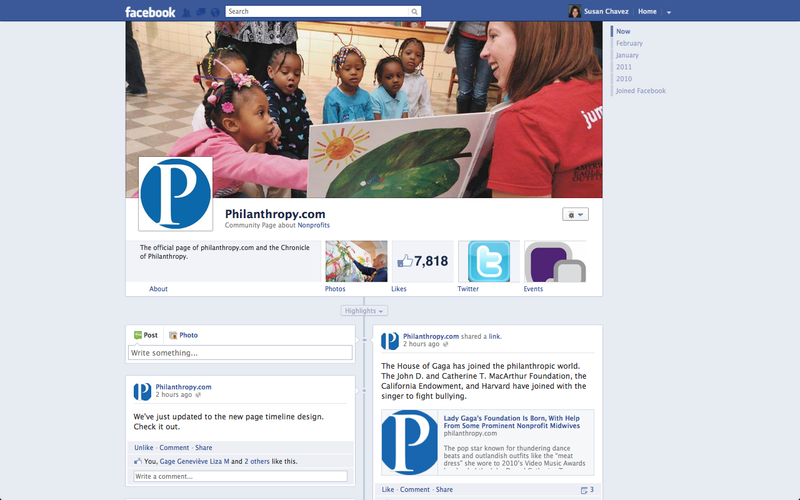 Today Facebook unveiled a preview of the new Timeline for pages – the latest feature already available for personal profiles. The preview gives organizations one month to explore the new features and begin to redesign their page until all pages are automatically switched to the new format on March 31. What does this mean for your organization? Below is a list of some pros and cons. Cover Photo: It’s a lot easier to tell your organization’s story with the now 851×351 pixel cover photo than was possible before. There’s still a thumbnail for your organization’s logo but now coupled with the right cover photo can engage fans visually. Posts: Page admins can pin posts so they display prominently; pinned content can be featured for up to seven days. Pinning important updates is ideal for campaigns and announcements that organizations want to remain on the top of people’s minds. Hiding posts is also possible – allowing display of only a page’s most engaging content without losing data related to all posts. Timeline: Page admins can indicate their organization’s important milestones. Milestones worth indicating include fundraising goals, mission-related achievements or, even, when your organization was founded. Admin panel: The new admin panel provides easy access to information such as page insights, fan activity notifications, a message inbox and a pages Help Center. The message inbox will accept direct messages from fans who would prefer to contact admins directly and privately instead of posting messages on the wall. And the direct link to the Help Center should make it easier for page admins to access answers to their page-related questions. Activity log: Admins can use the activity log to find and edit old posts and sort those items by year or type of story. Custom landing pages: Facebook will no longer allow the use of apps to create custom landing pages. 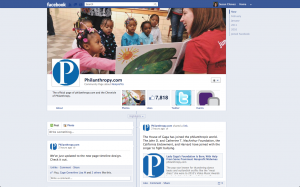 A number of organizations have made a practice of using custom landing page apps to do things such as drive up “likes,” fundraise or recruit volunteers. Organizations that use custom landing page apps to drive a particular activity will now have to take the extra step to pin a post that directs Facebook users to the app. It’s also worth noting that cover page guidelines do not allow users to use arrows or text to direct fans to apps. Applications: Applications are no longer visible to the left of a page and will now begin appearing below a page’s cover photo. Fewer apps will be visible at one time but all apps will have larger thumbnails. Unfortunately, there’s no avoiding the cons but knowing what to expect can go a long way towards adjusting your Facebook strategy. And fortunately, the pros outnumber the cons so organizations should make the most of the new timeline features to engage their online community.